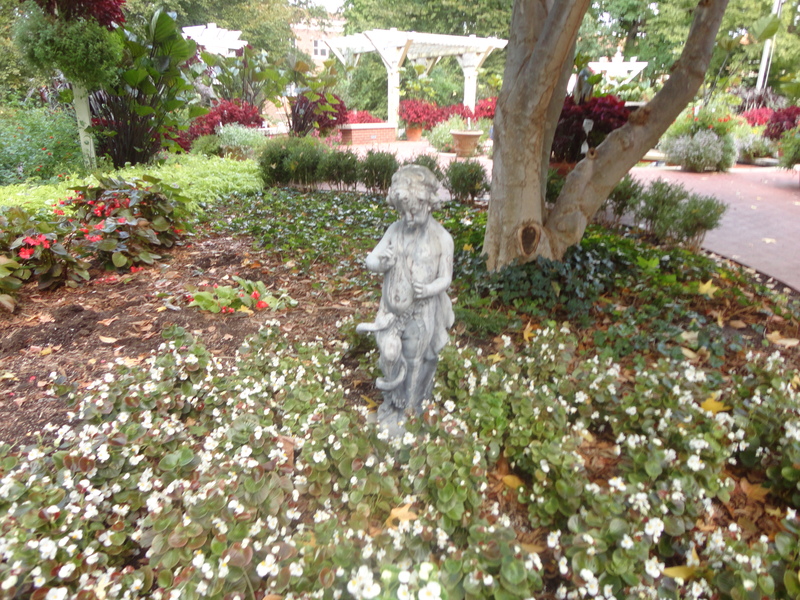 The garden outside the Governor’s Mansion in Springfield, Illinois, was still blooming when I went to the Governor’s Mansion to cover this for Senior News & Times. This event happens one time a year when volunteers and senior service groups come together to honor those that have received top honors. The celebration took place on was October 23, 2013 and made me realize how blessed we are by those that give so much. Going to the Governor’s Mansion at any time is a wonderful chance to see the beautiful mansion, furnishings and enjoy walking through the garden. This was especially true after hearing the stories of those receiving awards. Dr. Dohner was the Illinois State Fair Parade Grand Marshall for the 2013 Illinois State Fair. Sam Franco of Chicago received an award for his musical contributions. Teaching music and music theory he played and taught many for no charge bringing music into the lives of children that would never be able to learn how to play an instrument without his generosity. Mr. Franco is still teaching. “If it wasn’t for my music, I wouldn’t be here today. Everyone should study some type of music,” he added. Besides the Senior Hall of Fame recipients of the Governor’s Unique Award were honored as well. These winners were nominated by Area Agencies on Aging and the award recognizes groups, individuals and program making a positive impact in the lives of Illinois seniors. These awards were given to The Neighborhood House Association, of Peoria, The group providing Access to Help (PATH), Nan Anderson of Evanston, Sandra Hakanson, director of the Mascoutah Senior Services program L. Goebel Patton of Franklin County. This gentleman turned 100 and celebrated his century birthday the day after receiving his award. While traveling around to the places and sights, it is sometimes the people you meet and the things they have done that touch you. Next Post: Easley Winery a downtown Indianapolis place to be!